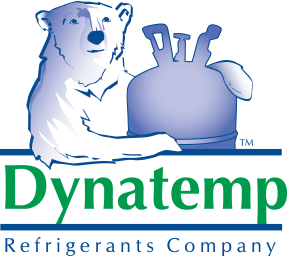 Moving into the second quarter of 2018, there are several questions regarding the refrigerant market that continue to weigh heavily on the mind of the refrigerant industry as we head into cooling season for the majority of the U.S. From further reductions in R22 allocations, to the complicated political landscape, every aspect of our business is affected in different ways, and to varying degrees, by the many outside forces at work. First and foremost, the HCFC phase out continues, with 2018 seeing further reduction of the available virgin R22 to just 8.8M lbs. This puts the US at just over 1/3 of the available gas from just three years ago, 2015, and less than 20% of 2014’s available pounds. While we have seen new equipment shift almost exclusively to R410A, the service demand for R22 remains strong, and we expect that trend to continue. While the market price of R22 fell over the last 10 months, continued reductions and high demand should stabilize the price in 2018. R22 alternatives (HFC’s) saw unprecedented growth in 2017, driven in part by the rising price of R22, but also due to the cost savings and ease of transition presented by some replacements. For equipment that is unlikely to be replaced in 2018, we expect demand growth for R22 replacements to match or exceed 2017. If you or your customers have not yet chosen an R22 replacement to offer for sale, it is highly recommended that you incorporate it into your plans moving forward. While the market size of R22 remains much larger for now, the shift is undeniable, and we will see the replacement market grow as equipment ages and R22 becomes more costly to buy and utilize. The biggest question in Q2 (and Q3) of 2018 is going to be the 400-series market. Due to increased environmental guidelines enacted in China (by far the largest source of refrigerant and components), governmental and political jockeying, and growing global demand for HFC’s, we have seen significant disruption so far in 2018. Reports of shortages and price increases have been dominating the news as the US and its global allies forge a plan for the implementation of international agreements and regulations. After the Federal Court system refused to rehear the case that led to the decision to rule that the EPA overstepped its authority in regulating HFC’s via the SNAP program, California has introduced legislation to address the issue. CA Senate Bill 1013, introduced by Sen. Ricardo Lara, would authorize the California Air Resources Board (CARB) to enact regulations covering the use of HFC’s in many applications. If enacted, the “Lara Bill” would have the effect of leaving California with stricter standards than the EPA is allowed to mandate, which in turn could lead to different codes and standards that manufacturers and wholesale distributors are required to abide by. Addressing the discrepancies in federal codes will be a major challenge for governing agencies, and could result in confusion and legal battles for some time. Once the bill is voted on, there will be more information on the outcome, and what the implications are expected to be moving forward. Since signaling that the US would withdraw from the Paris Accord, and given the uncertain status of our official position on the Kigali Amendment, several countries and entities (notably China and California) have forged ahead with plans to meet or exceed the greenhouse gas reductions laid out in the amendment. After the threshold of 20 nations required for ratification of Kigali was reached in November of last year, the planned rollout on 1/1/2019 will proceed as planned. Whether the United States will be a full participant and adhere to the regulations laid out therein remains to be seen. Regardless of our participation, the rest of the world is moving forward with significant goals and policies intended to slow or reverse the effects of manmade climate change. Long-term, this carries immense trade risks for the United States, but those are unlikely to be realized for several years. In the interim, we will likely see the effects of the agreement in more subtle ways. China has seen to it to take the lead in environmental regulations, shuttering factories and mines that do not meet stringent quality and safety standards now in place. This has had the effect of squeezing the supply of both raw materials and finished goods for the rest of the world, and has led to sustained increases in prices and lessened availability significantly. Raw material costs (notably HF Acid) have risen significantly over the last 6 months. We expect this trend to continue through Q2, and possibly into Q3. In addition to reductions in supply, (Chinese) domestic demand is also increasing exponentially. This means that an ever-growing proportion of Chinese-manufactured refrigerant is going to serve the Chinese market, thus lowering the amount available for export to other countries, such as the US. While we have seen many companies pivot to importing component materials to the US and packaging domestically, we expect the bottleneck of supply to remain tight for some time. There is no crystal ball to predict the future of the refrigerant market, either in the short- or long-term. With so many factors affecting the domestic availability and pricing, it is becoming a more complex problem with every passing day. The best recommendation for the remainder of 2018 and beyond is to know your refrigerant partners, and listen to advice and suggestions from sources you trust. While no one can tell you what to do with certainty, maintaining a running dialog will help alleviate some of the potential pitfalls of making the “wrong” decision. In a world in which changing political landscapes, both here and abroad, have a major impact on our business, and with so much uncertainty in the market, it is vitally important to stay abreast of the news and trends in the industry. We will work together with our Sales Representatives to ensure that you receive up-to-date news to help inform your decisions moving forward. Please let us know if you have any questions, and we look forward to serving you in the second half of 2018! To download a copy of the update, follow link below.